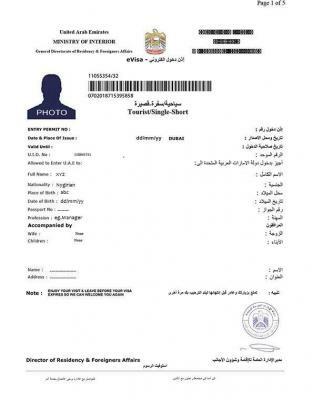 Difference between tourist and visit visa for entering Dubai? The major difference between a tourist and visit visit are the price, duration and the method of application. •	A visit visa is valid for up to 60 days from issue, while a tourist visa has different durations like 14 days, 30 days, 60 days and 90 days. •	For a visit visa, you will need an invitation from someone living in UAE. •	The prices are different, and can be found on Govt. websites. One of the best ways to get either visa is to opt for destination management companies They do it at good price, and it’s all hassle-free. Last update on January 28, 12:33 pm by Shivam Khandelwal.